In 2013, Valle de Oro National Wildlife Refuge began collecting Nature’s Notebook observations as an USA-NPN pilot project within the National Wildlife Refuge System. 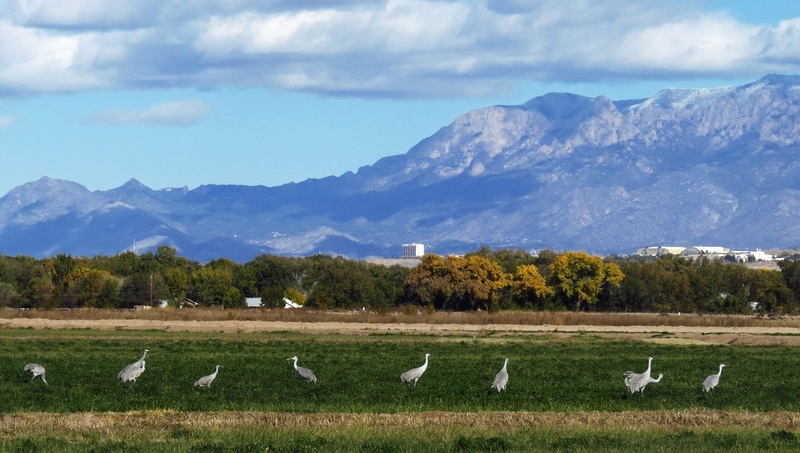 The Refuge is located seven miles south of Albuquerque, adjacent to the Rio Grande. Plans are underway to restore the Refuge's approximately 500 acres of agricultural lands to upland, wetland, and riparian habitats. Valle de Oro NWR is using Nature’s Notebook to establish baseline information about phenology of species of interest, which will allow staff and volunteers to observe the ecological impacts of different restoration strategies. Observations are now being used by the Refuge to time restoration activities and inform visitors about what species they will encounter during different times of the year. Phenology monitoring efforts at Valle de Oro NWR spearheaded the Rio Grande Phenology Trail, a collaborative effort between the Refuge, botanical gardens, schools, conservation areas, and the Bosque Ecosystem Monitoring Program with the goal of collecting information on how phenology is changing across the Middle Rio Grande watershed. The Trail partners seek to collect data that can be compared across observation sites, and to engage local community members as well as student groups in citizen science.